This past Saturday I had the great pleasure to shoot on behalf of fashion designer Annie Nguyen in her fashion premiere at the Mohegan Sun Arena. It was for me, a wonderful evening exploring Annie’s great fusion of East meets West design, and the vibrant Vietnamese music and comedy that accompanied. Backstage is always a frenetic, but fun time before a big show like this. 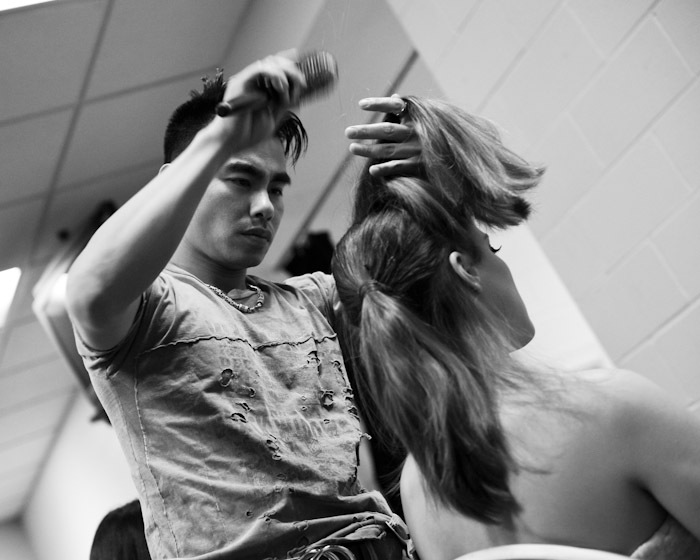 It’s always interesting to see how the models handle the long, tedious hours that lead up to the few moments of mind-blowing energy that goes into the show. Most of the evening I spent as an outsider looking in. Every word spoken or sung onstage (and largely backstage as well) was in Vietnamese. A beautiful, but rapidly spoken tongue. In spite of my inability to understand the language, I found it easy to enjoy the wonderful musicians and dancers. Trying to figure out the comedy acts was a bit challenging, but the sketch comedians “translated” fairly well. Annie’s designs are gorgeous and her gowns have international appeal. The first round of modeling featured her more contemporary designs. This was followed by another hour (plus) of Vietnamese (superstar status) entertainers. 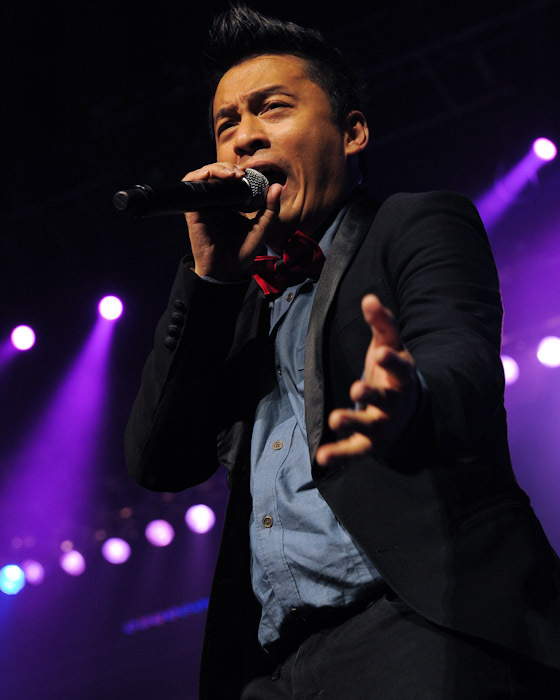 Tam Doan, Lam Chan Huy, Bao Liem, Tuan Anh, Ho Le Thu (pictured below) and Lam Truong (second photo below), were just a few of the singers, dancers and comedians that performed for the well-packed Mohegan Sun Arena. 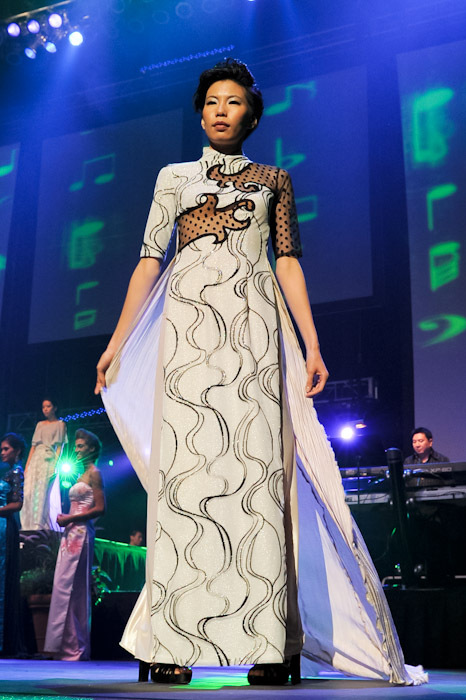 Annie then featured her designs that fuse contemporary design and fabrics with traditional Vietnamese fashion – with stunning results.